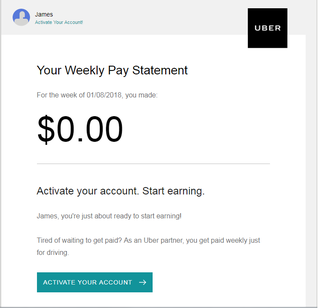 Apparently I signed up to drive for uber? I think I was drunk at some point in December and got hungry and tried to download uber eats, but apparently I inadvertently signed up to drive for uber. Making this more perplexing is the fact that I don’t have a car I could uber with; not that I want to in the first place.